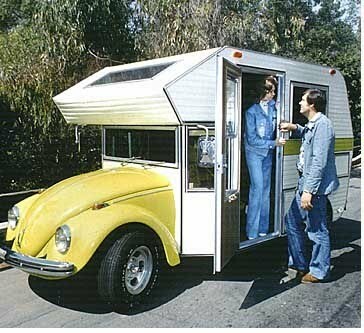 If you are tired the way the your old VW looks, why not convert it to a mini home? From rqriley website you can buy the blueprints to do just that! MiniHome is built like any other camper using 1 x 2 structural members covered with paneling on the inside and conventional corrugated skin on the outside. Click on the bottom image in the left margin to retrieve an exploded view rendering of MiniHome's construction. Construction costs should run about $1500, plus the cost of the VW. 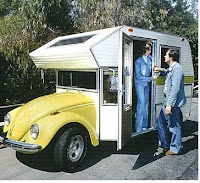 If you don't have the DIY skills to build your own RV, why not book a great RV Rental through Cheap-RV-Rental.com?